Winery Not Open to the Public. Since 2004, we have produced premium Napa Valley wines from some of the valley's most notable vineyards - we are honored and privileged to be working with some of the Napa Valley's most prestigious growers. Kian Tavakoli has been our winemaker since we started Jean Edwards Cellars. 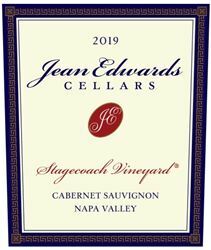 We are often asked "what's the Jean Edwards Cellars style of wine"? Our reply... wines that will pair well with food... wines that you will want to open and share with good friends... but you'll want to keep the bottle at your end of the table! While we are best known for our cabernet sauvignon wines, we also produce chardonnay, merlot, malbec, petite sirah, sauvignon blanc and syrah wines. .
Wine Education: In addition to our regular flight offerings, we offer a by-appointment AVA cabernet tasting that includes 4 current release cabernet sauvignon wines and 1 library release. To join the wine club, visit https://www.jeanedwardscellars.com/ or call 973-402-8524.